Through the Woods Fine Wood Floors, Inc.
*Authorized Bona Certified Craftsman* We are a boutique company specializing in superior products and Old World artistry. For nearly two decades Through the Woods has been known and respected for their uncompromising commitment to quality, service, and craftsmanship. 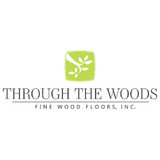 Through the Woods offers complete services for hardwood flooring from custom installation to dustless refinishing. Our showrooms display reclaimed, wide plank, traditional and rustic flooring in colors ranging from soft pearl to ebony. Take a look at our Ideabooks to see some of the products that we carry installed in homes. Our focus is expressing your vison. We can mix a stain in a unique color that will speak your taste and style and top it with a finish that is durable, eco-friendly and in your choice of sheen, from flat to high gloss. We promise you a floor that is beautiful and an experience that is smooth, worry-free and timely. Wakefield Hardwood Floors specializes in refinishing and restoring wood flooring and stairs in Tampa, St. Petersburg, Clearwater and surrounding areas. We offer a wide variety of stain and finish, and have service options for every price point. Our work is featured in the finest homes of Tampa Bay. Let us show you why homeowners and businesses alike call upon us for their expert hardwood floor refinishing needs. Since 1992, Hurst Hardwoods has been a national leading wholesaler of unfinished and prefinished solid and engineered wood flooring products, delivering over 300 floors each month -- sold tax free in 49 states -- to homeowners and contractors throughout America, all at the fastest and cheapest shipping rates you'll find anywhere online. With flooring available in any domestic and exotic wood species imaginable and in thousands of variations -- including widths, thicknesses, lengths, grades, textures, and cuts -- we provide virtually limitless options when it comes to hardwood flooring! We’ve also developed our own private label of top quality solid and engineered wood flooring collections, samples of which that have been made available for purchase through our Houzz Marketplace Store, including: -European French Oak (wide plank 7 1/2" x 5/8" prefinished engineered in 12 colors as well as unfinished) -Riviera French Oak (wide plank 7 1/2" x 1/2" prefinished engineered in 7 colors as well as unfinished) -Grande Tradition French Oak (super wide plank 10 1/4" x 5/8" prefinished engineered in 6 colors as well as unfinished) -Hand Scraped Hickory Solid (5" x 3/4" prefinished solid Hickory flooring in 4 colors) -South American Solid (5" x 3/4" prefinished solid in Brazilian Cherry, Brazilian Teak, Brazilian Walnut, and Tigerwood) -Domestic & Exotic Prefinished Engineered w/4mm Wear Layer (5" x 5/8" in Red Oak, White Oak, American Walnut, Maple, and Brazilian Cherry) -Domestic & Exotic Prefinished Engineered w/3mm Wear Layer (5" x 1/2" in American Cherry, Brazilian Cherry, Brazilian Teak, Brazilian Walnut, Hickory, Santos Mahogany, and Tigerwood) -Domestic & Exotic Prefinished Engineered w/2mm Wear Layer (5" x 1/2" in Acacia, Amendoim, American Walnut, Hickory, and Sapele) -And more! Additionally, we serve as an authorized dealer of popular name brand hardwood flooring manufacturers from around the world. These products, along with our robust selection of stair parts (treads and risers, stair nosing), transition pieces, moldings, accessories, underlayments, and glues, have allowed homeowners, contractors, interior designers, and home décor experts to count on us for their wood flooring needs for nearly 25 years. Need a quote after receiving your samples? Questions about a product? Send us a message here on Houzz or call today. We'd love the opportunity to partner with you on your next home flooring project! Family Owned and Operated serving the Tampa Bay area for 30 years. We stand behind every product with integrity — the way it should be. Our quality stands the test of time. You Stand On It. We Stand Behind It. Please give us a call to schedule a showroom appointment. Flooring is made easy, simple, and stress-free with Floor Coverings International. We understand that each home is special, and therefore requires attention to detail. Our focus is paying close attention to detail when it comes to your floors. Whether it is carpeting, hardwood floors, tile, or any of the other options we offer, we carefully treat each design as a custom project, and we work with you to meet your budget and deadlines to install the floors of your dream home. At Floor Coverings International, we bring the floor store to your door! Diversified Floor Care has over 25 years of experience in installing residential and commercial flooring of all types. We have expanded our range of business by incorporating our Select Flooring Showroom, allowing us to both provide and install any type of flooring you are looking for. We warranty our installs for life, and will also be able to be contacted if an issue does come up. Our services range from wood, laminate, vinyl & ceramic tile installations to bathroom and kitchen remodeling. We also specialize and have experience in custom staining and finishing of wood & stair cases. Flooring Master emerged as the innovative solution for homeowners and businesses in the Tampa Bay and Orlando areas who are unable to find quality and professional flooring service providers. Flooring Master challenges the current way that ‘big boxes' and national flooring retailers treat the customers; we are committed to be the first choice for flooring projects by exceeding people expectations in terms of personalized service, professional project management, expert installation, and product choice, quality, and durability. FlooringMaster can help you with your home remodeling projects: WOOD FLOORS, LAMINATE, CARPET, TILE & STONE. Most companies will be close on price, but can be worlds apart on integrity and level of customer service. We are going into our 29th year of business and are very proud of our reputation in the Tampa Bay area as well as many other parts of the country that have asked us to come out and do their projects. We have been featured on a Designer's Challenge episode on HGTV and have been invited to sit on panel discussions at Trade Symposiums. We are also honored to be a member of the International Design Guild. The International Design Guild is an elite group of independent floor covering establishments presently totaling 106 members in North America. This is an invitation only club, featuring the best flooring companies in North America. We offer every type of floor covering available including area rugs, carpet, stair-runners, wood plank, stone and tile, luxury vinyl tile and a full custom workroom. On the interiors side we offer closet systems, soft and hard window treatments, as well as upholstery fabric. We service the entire Tampa Bay area and beyond. We have capabilities to service our clients second homes anywhere in the country as well as internationally. Visit our showroom: Monday - Friday 9AM to 5PM, Saturday 10AM to 4PM, or call for appointment. Are you looking to get rid of that old soiled carpet, or are you planning a new construction project that needs just the right flooring to make it perfect? Look no further than Authentic Hardwood Flooring. Since 2001, we’ve been installing real wood floors in homes and businesses throughout the Tampa Bay area. Give us a call, and one of our real wood experts will be happy to provide you with a free quote for your project. Authentic Hardwood Flooring, Inc. is a full service company carrying all wood flooring products and can install, refinish or repair existing wood floors. We represent over 15 different mills of both finished and unfinished wood flooring along with other sundry products. He serves on the board of directors for the Tampa Bay chapter of the National Association of the Remodeling Industry (NARI) and has been a member since 2002. Welcome To Revolution Mills - Your Local Tampa Flooring Store! Revolution Mills designs and sells luxury flooring in Tampa and Home products directly to Builders, Designers and Consumers at Wholesale prices. All of our carpet products are made in the USA. The Wood Flooring products that we import are kept in inventory in strategic locations throughout the US. We opened our first showroom in Tampa, FL on January 15, 2007. Our Carpet, Wood Flooring, Pillows and Area Rugs are represented in our showroom and through outside representation. Future showrooms are opening in Sarasota, Florida and New Orleans, Louisiana. Revolution Mills: Our products don't just look better....they are better! Come visit our showroom and find out why! NBM Flooring Specialist, LLC, is locally owned and operated, with over 10 years of residential and commercial experience. We have the skills and experience to tackle jobs of all sizes! We keep your vision in mind at all times and pride ourselves on our great customer service! Let us wow you with our quick, reliable, safe and professional touch with any of your home improvement and/or home service projects. We have both customer and trade references, all available upon request. Our reputation for listening and problem solving precedes us. We have an expert eye for detail and troubleshooting, as well as being able to work out the best solution for the client. So if details matter and you want someone who listens then, we would like you to be our next happy customer! Call for your free estimate today! We are a family owned Flooring Outlet which specializes in flooring, tile, vinyl flooring. We also install our floors and tiles. 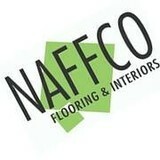 Give us a call for all your flooring needs. Whether you're local in Florida or live anywhere in the United States, you can get your hands on the best materials. Euro Flooring and Design Center, Inc. strives to provide the Tampa/St. Petersburg area with the widest selection of flooring and remodeling options, all under one roof. Each flooring product we feature is carefully selected for you to ensure the latest in design, technology, stylings, colors, and warranties. What kinds of services do hardwood flooring installation professionals in Land O' Lakes, FL provide? In addition to installing floors, hardwood flooring installers and dealers provide insight on the various types of flooring available, develop hardwood floor designs, and provide ongoing repair, preservation and maintenance services. Do you have any type of warranty or protection guarantee? Will you come to my home for a free onsite consultation before the move day? 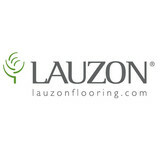 Find hardwood floor experts in Land O' Lakes, FL on Houzz. Search the Professionals section for Land O' Lakes, FL hardwood flooring installers and dealers or browse Land O' Lakes, FL photos of completed installations and look for the professional’s contact information.